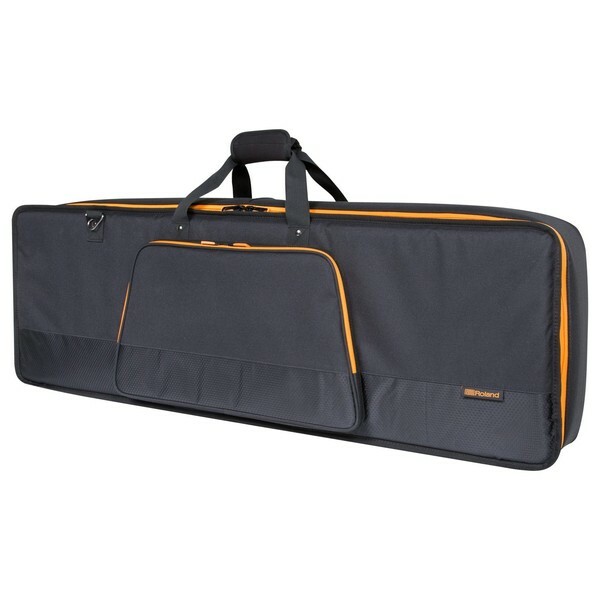 The Roland CB-B61 61-Key Keyboard Bag is a highly-durable keyboard bag designed to accommodate most styles of 61-note synths and keyboard controllers. Designed to offer maximum protection for your instrument, the CB-B61 Keyboard Bag is the ideal choice for any digital musician on the move. The plush interior helps to minimise any superficial damage while transporting your keyboard/synth while the integrated impact panels and extra-thick foam padding ensure maximum durability, ensuring your instrument is kept safe and secure at all times. 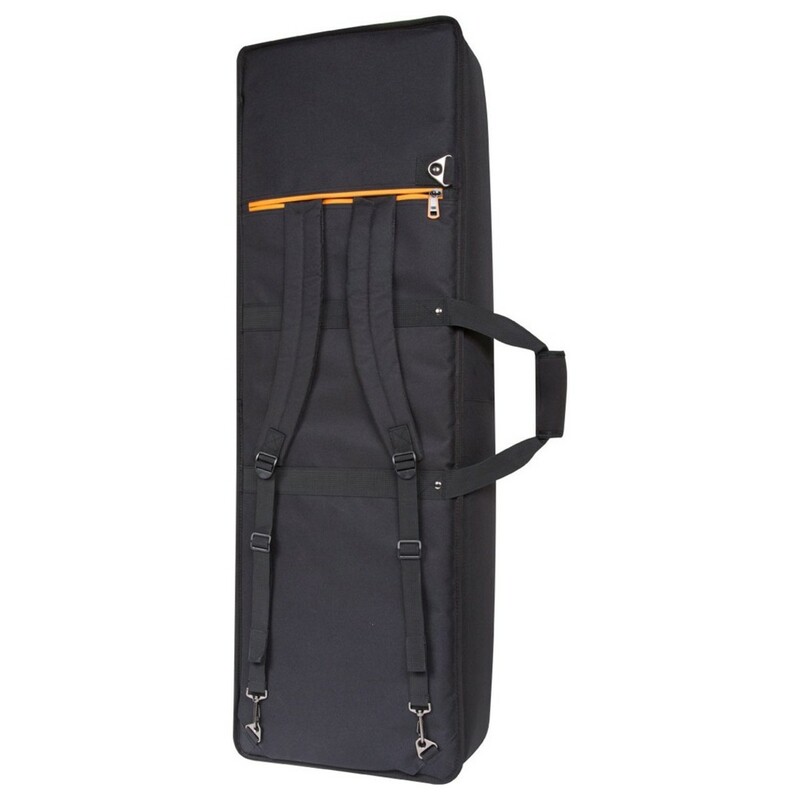 The padded shoulder straps are ideal for carrying over the shoulder or on your back, making transporting your instrument easier than ever before. The Roland CB-B61 61-Key Keyboard Bag has been designed to offer maximum durability and protection for your 61-key synth or keyboard controller, while on the move. 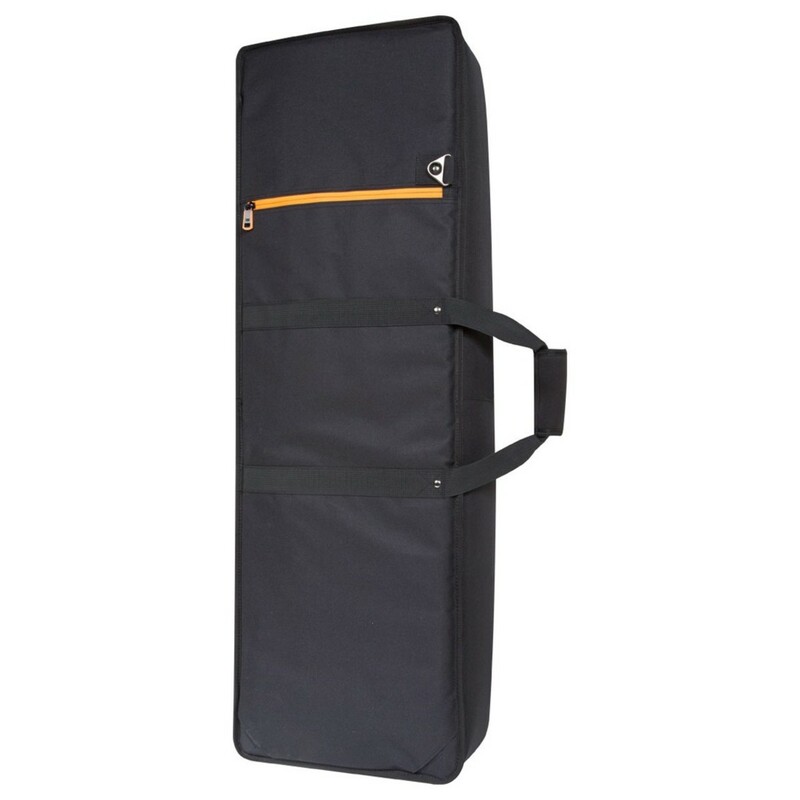 The extra-thick foam padding combined with the internal impact panels, ensures your instrument is kept safe and secure at all times. The bag itself is comprised of 600D polyester and ripstop nylon, providing highly durable materials for optimal protection. 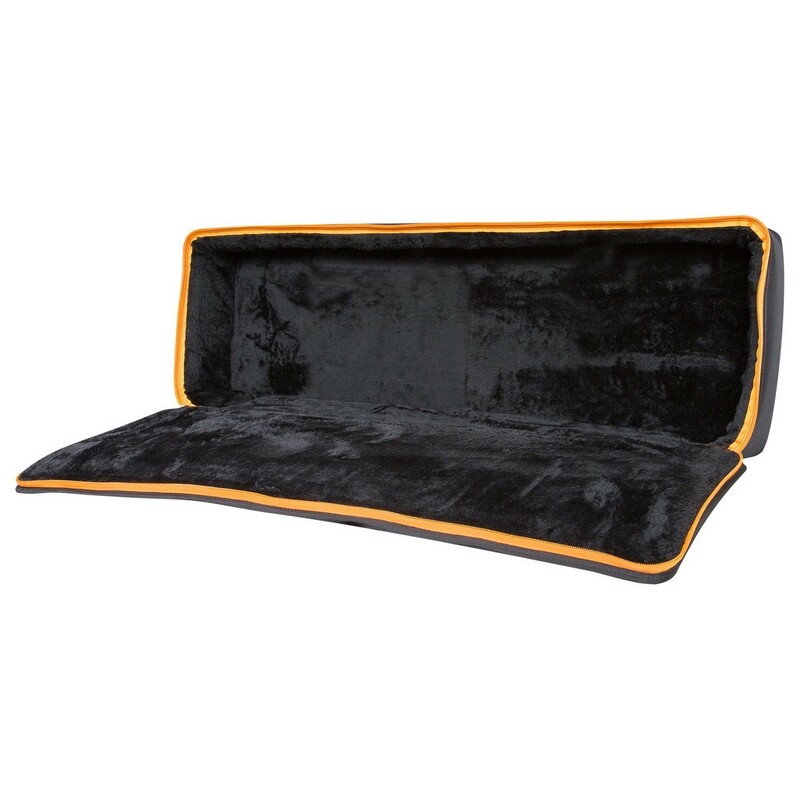 The interior of the case features a plush lining which helps to keep your instrument secure inside, while protecting against superficial damage such as scrapes as scratches while on the move. There is also a front zippered pocket for storing accessories such as sheet music, power supplies, cables and more. The exterior of the bag also features a padded soft-touch handle for carrying comfort, ensuring you wont strain while carrying it at your side. Additionally the padded nylon straps are ideal for carrying the bag over your shoulder or backpack style for added comfort.